The April 21-22 weekend is the kickoff of a season of celebrations of the 50th anniversary of the Ganaraska Hiking Trail Association, Inc. (GHTA Inc.), an association of 9 member clubs stewarding a 500 km trail stretching from Port Hope (Lake Ontario) at the southern terminus, to Devil’s Glen near Glen Huron, (just south of Blue Mountains) at the western terminus. The trail winds through rolling farmlands and woods, follows quiet country roads and small towns and villages, and even traverses a city (Orillia). The Wilderness section of the Ganaraska Hiking Trail, is unique and passes through the Queen Elizabeth II Wildlands Provincial Park. Including branch trails, the total length of the trail is in excess of 500 kilometres, used for hiking, snowshoeing and cross-country skiing, thanks to the generosity of landowners who have given permission to cross their land. The Association will be 50 years old as of April 21, 2018, and the first of the celebratory events will be a public hike offered by the member clubs on Saturday, April 21, or Sunday, April 22 (see the bottom of this article for Details of GHTA Local Club Hikes). These hikes will be easy to moderate, and everyone, including families, novice hikers, nature lovers, and those curious about hiking, are invited to come along and join in the celebrations. Wear sturdy footwear, carry water, and contact the leaders for any further instructions. The GHTA will continue the celebrations throughout the spring/summer/fall season by relaying water from Lake Ontario and Georgian Bay along the 500 km trail, meeting in Orillia the weekend of Sept. 28-30 for a conference to be held at Lakehead University, Orillia Campus. The weekend opens with a pub night on Friday, and from there follows a jam-packed schedule designed to let hikers from all over the club get to know each other, celebrate the 50 year history of the Association, and learn new skills through workshops and courses. The GHTA Inc. is proud to partner with Hike Ontario, who are having their summit in conjunction with this conference, and with Lakehead University who are hosting the event, and whose venue and values promote learning both in and beyond the classroom. The Ganaraska Hiking Trail Association Inc. is a charitable not-for-profit organization that is entirely volunteer based. The annual membership fee of $25 (individual or family) provides all members with newsletters throughout the year listing all hikes and club information and is also used for trail maintenance and development. The Kawartha Ganaraska hiking club is hosting a number of hikes on the Stoney Lake Trails, ranging from easy to moderate (4, 6 or 9 km). Bring lunch/snacks & water. Meet at 9:15 AM at the Riverview Park & Zoo for carpooling to the start of the hike. Contact Tony 705-755-0815. The Orillia Ganaraska hiking club is hosting 2 hikes at Scout Valley. Meet at 10 AM at the Scout valley Regan House parking lot on Line 15. For the easy hike, contact Sharon 705-327-7611. For the moderate hike, contact Paul 705-325-6001. Wear sturdy footwear, carry water. The Pine Ridge Ganaraska hiking club is hosting a 6 km easy hike. Meet at 10 AM at the Port Hope Town Hall, for the hike and the ceremonial dipping of water from Lake Ontario for the first of the Water Relay hikes across the 500 km long Ganaraska Hiking trail. Contact Stan 905-885-9310. The Wilderness Ganaraska hiking club is hosting 2 hikes in the Queen Elizabeth II Wildlands Provincial Park. Hiking boots are recommended. Bring lunch/snacks and water. Meet at 8:30 AM at the Devil’s Lake parking lot. A much more challenging 19 km hike from Devil’s Lake to Moore’s Falls. Duration 7 to 8 hours. The terrain is rugged and varies. Hiking boots recommended. Contact Robert 705-345-7155. The Wasaga Beach hiking club is hosting a 6.8 km hike of the Schoonertown Loop. Meet at Schoonertown Parkette (corner of Oxbow Park Dr., and River Rd. West) at 10 a.m. (1 ½ - 2 hours). Contact Irene – 705 352 1060. The Midland Ganaraska hiking club is hosting an easy 8 km hike in the Tiny Marsh. 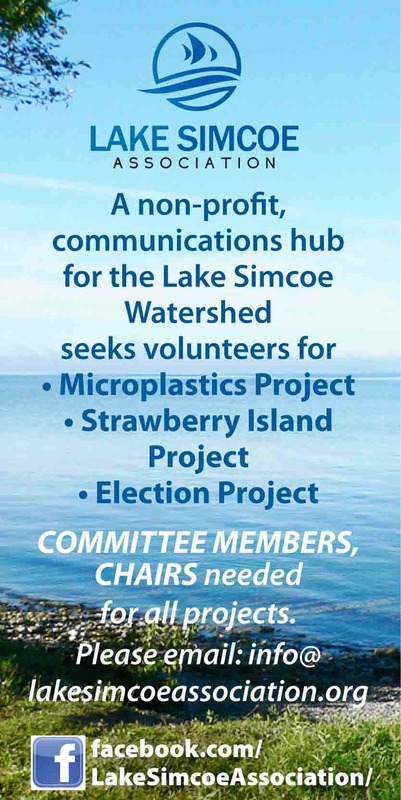 Meet at 1 PM in front of the Tiny Marsh Visitor Centre, on the Tiny/Springwater Townline. Contact Marc 705-527-1967.